Mega Sale! 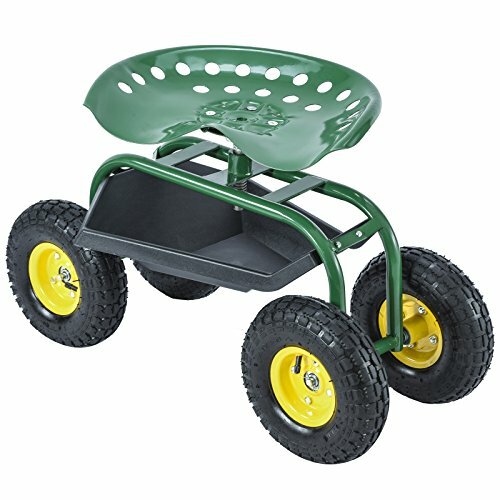 Save 26% on the Uenjoy Garden Cart Work Seat with Tool Tray Gardening Wagon Rolling Heavy Duty Cart, 330Ibs Green by Uenjoy at The Net Stores Network. Hurry! Limited time offer. Offer valid only while supplies last. MULTIFUNCTIONAL-Can be folded or be unloaded and easy to load and unload. INNOVATIVE DESIGN-Features 360-degree swivel seat, adjustable height, swivel tractor seat and under-seat tray.